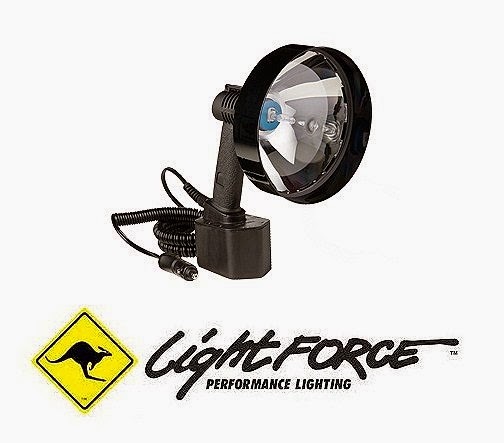 Well it's been a while peeps but we were out testing the GC300 from IcoTec and our new LightForce HID lamp so I thought I would let you know how it went. I have to say I am very impressed with both. The HID seems to have a slightly different color temperature to other lamps I have used and we intentionally visited a golf course hat has been lamped for years by shooters and dogs. If there is anywhere that it's hard to get a bag of rabbits this is it. 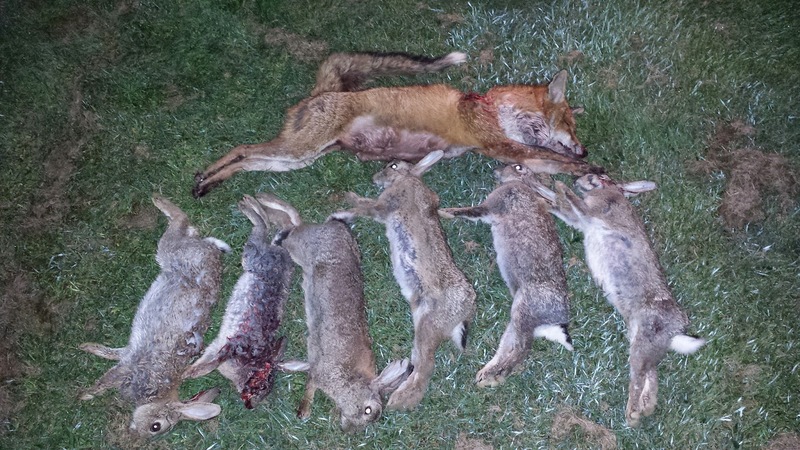 After about an hour and a half Lisa and our friend Geoff had bagged half a dozen lovely condition rabbits for the pot. It was now time to get the .243 out and let the IcoTec game caller do it's job. We have had some good results of late with this set up but weather has stopped us from filming and getting out as much as we'd like. 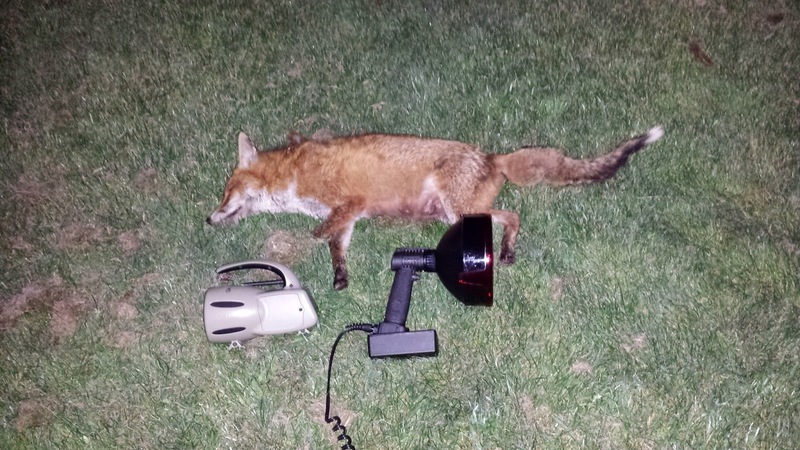 Now I was not quite prepared for what happened next, within seconds of deploying the caller, Lisa lit up a fox steaming in from the right of us heading straight for the GC300. Unable to see this happening from the drivers seat Lisa lent in and touched my shoulder indicating for a stop, Geoff took aim with Lisa just feathering charlie with the lamps incredible beam and a loud and solid thump followed the satisfying crack of the .243 Charlie down and out! Lisa flicked the light around once the kill was confirmed and spotted another one disappearing over the brow of the hill on to the next fairway. That's one we'll see another night, I suspect it will need to be taken with NV after seeing what happened the last time it saw the spooky slightly orange and red glow of the LightForce HID. Teamwork, stealth and good communication are the key to becoming a successful lamping outfit. Lisa, Geoff and I were communicating without words, just using touch for stop and go. The high shooting position from our Frontera's moon roof also helps allowing you greater freedom of movement and the ability to spot better. Expect to see this set up again and look out for this episode on the channel soon.